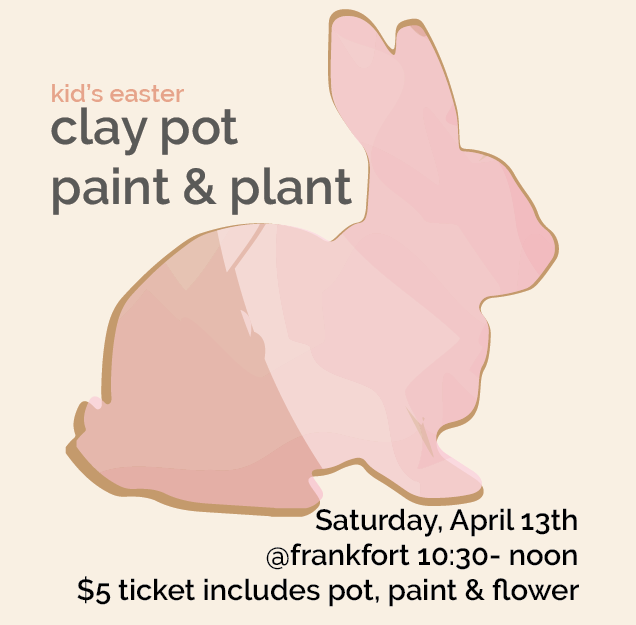 bring your kids out to create their painted pot masterpiece, then plant a flower in the finished piece and we’ll clean up the mess! 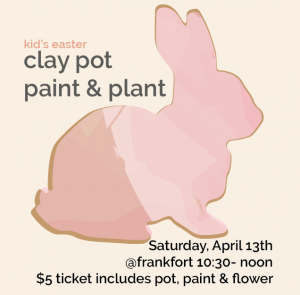 $5 ticket includes terra cotta pot, paint & flower. no pre-registration required.